How do I search the Canvas Guides? 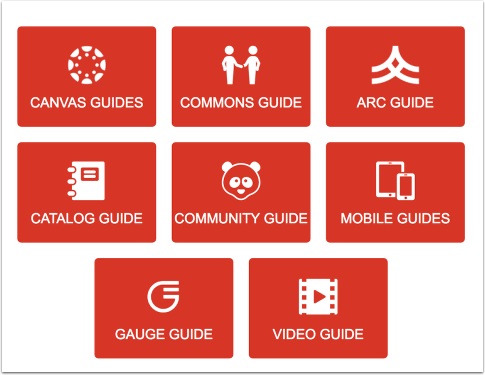 The Canvas community makes it easy to find the content you're looking for about Canvas in the Guides. You can search using one or several resources together. In both Guides and Find Answers, the names of each guide link to their respective Table of Contents. To view a Table of Contents, click the guide name. Each Table of Contents document includes chapter heading anchor links so you can quickly access a specific feature area. In any search bar, type the content you want to find. 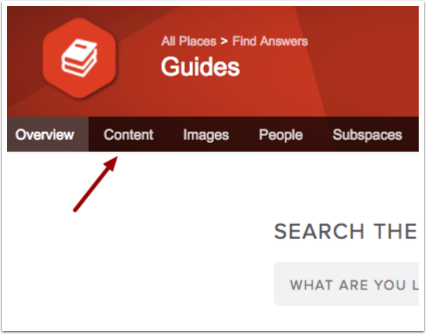 You can use the main search bar in the Guides space , or you can also search on any page in the community using the Search icon . Learn how to search for content in the community. Categories help separate the Guides into content for each product. Because of the size of the Canvas product, Canvas is the only product that is also divided into user roles. When you view a category, all included articles are displayed in the content area. Categories are organized as the names of each guide. To view an entire category, click the Content link in each subspace. The content page will appear and display all categories. Filter options are the same as when filtering content anywhere in the community. However, in the Guides section, tags are important in helping you subdivide a category for content. If you choose to use Categories, you can use filter tags to subdivide the content list. Each article is tagged with the name of the product, the user role, and product. When you filter by tag, the text area will display the most popular tags that people are using to search. You can also type in the tag of what you may be looking for and select a relevant match. Note: Tags can be created by all users in the community. Some tags may be variations of other tags, so try searching multiple tags if you cannot find relevant content. All of these search options can be combined to help you search the Guides according to your personal preference. The more filters you choose, the more specific your search will be. 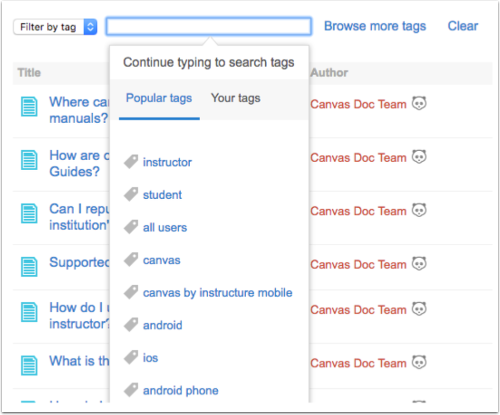 Previous Topic:How do I search and filter content in the Canvas Community? Next Topic:How are comments managed in the Canvas Guides? 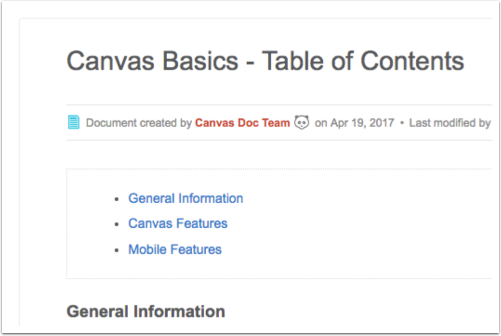 Table of Contents > Search Content > How do I search the Canvas Guides?